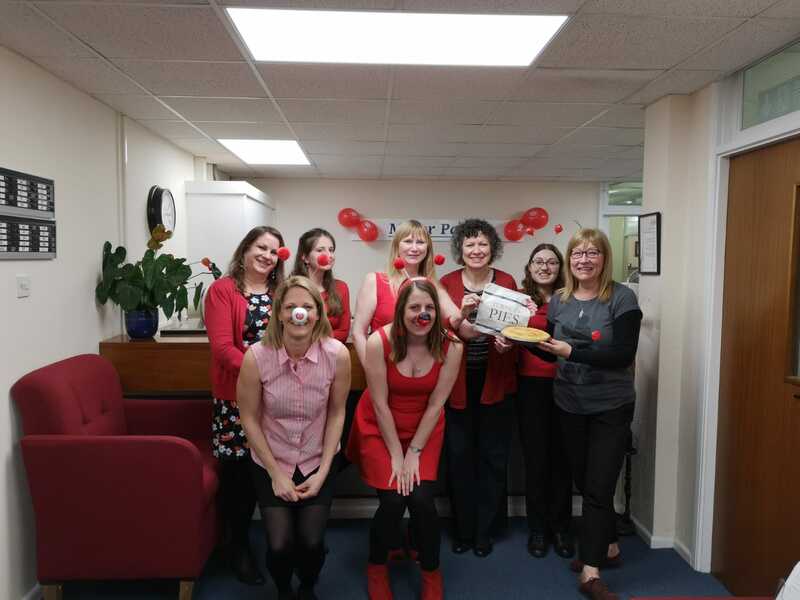 The team at Miller Parris once again excelled themselves for ‘Red Nose Day’ 2019. They collectively raised £ 227.00 through cake and baked goods sales, a quiz and a raffle with a mouthwatering pie kindly donated by Turners Pies of Broadwater. Carol Bedford joins the team. Miller Parris are pleased to welcome Carol Bedford to the firm as a Chartered Legal Executive within the Conveyancing and Property team. 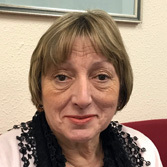 Carol has worked in conveyancing and law for over 37 years both in practice and teaching law and her main aim is to make the conveyancing process understandable for clients. 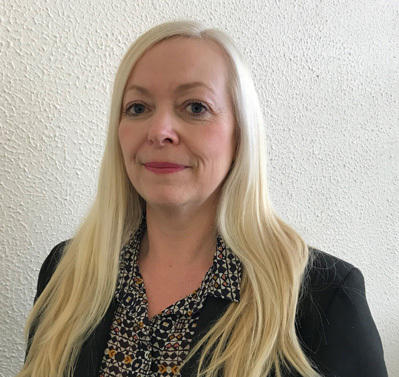 Miller Parris are pleased to welcome Trish Holland to the firm as a Chartered Legal Executive within the Wills and Trusts team. Martin Troy, Partner, commented “Trish has extensive experience and I am sure that she will be a great asset to our growing team. We are delighted that she has joined us and look forward to her working with us”. Trish has four children which keep her busy, and has worked locally for over 20 years. In her spare time Trish enjoys theme parks, eating out and going to the cinema. 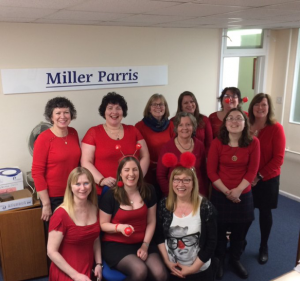 The Miller Parris team once again joined in the fun for Comic Relief. By organising a cake and savouries sale, a spot the Red Nose competition, guess the weight of the cake and guess the staff member from baby and toddler photos, the team managed to raise a wonderful £150 for the charity. Christina Rockwood, partner at Miller Parris Solicitors, is trained in the Collaborative process and together with a specialist group of lawyers and experts has formed The Worthing Pod, (www.worthingfamilylaw.com). These local experts are committed to assisting you manage your separation or family dispute in a way that best meets your needs. The Worthing Pod advocates an alternative way to resolve your family disputes in a way that is led by you and the needs of your family and avoids unnecessary conflict and animosity. Separation or divorce can be an extremely emotional and stressful time and very often the thought of having to go to Court to resolve financial issues or the arrangements for your children can cause added anxiety. The Collaborative process offers an alternative as it encourages the parties to find a solution to any issues by agreement in a constructive and non-confrontational way. If the collaborative route is chosen both parties and their lawyers sign an agreement preventing the lawyers from representing the parties in Court if the collaborative process breaks down. This means that both the parties and their lawyers are committed to finding the best solutions by agreement, rather than through Court proceedings. By having your lawyer by your side throughout the process ensures that you have their support and legal advice throughout the process. If you feel that the collaborative process is for you or would like to find out more about The Worthing Pod, please contact Christina Rockwood on 01903 205771 or email at christinarockwood@millerparris.co.uk. If both parties decide that the collaborative process is for them, each party will appoint their own collaboratively trained lawyer. The parties and their respective lawyers all then meet together to deal with both parties’ priorities and concerns. This may be how the finances will be shared or what arrangements need to be made for any children. Sometimes only a couple of meetings are needed, in other cases 4 or 5. By having your lawyer by your side throughout the process ensures that you have their support and legal advice throughout the process. Both parties and their lawyers sign an agreement preventing the lawyers from representing the parties in Court if the collaborative process breaks down. This means that both the parties and their lawyers are committed to finding the best solutions by agreement, rather than through Court proceedings. Sometimes, other professionals are involved, such as financial specialists, or people trained to assist children in understanding and coping with the changes that are happening. Once an agreement is reached, documents detailing the agreements you have reached will be prepared and signed and your lawyers will explain anything else that needs to be done in order to implement those agreements. Christina Rockwood, partner at Miller Parris is trained in the collaborative process. Christina said “The process offers many benefits compared to a more formal legal route. For example, it could enable both parties to have more control over their timetables to a certain extent and also potentially enable both parties to agree matters in a more constructive and non-confrontational way. This is particularly important in cases where there are children involved and both parties will accordingly need to have a continuing relationship”. If you feel that the collaborative process is for you or would like to find out more, please contact Christina Rockwood on 01903 205771 or at christinarockwood@millerparris.co.uk. Miller Parris are able to offer a free, initial half hour consultation if this is appropriate. Miller Parris are delighted to welcome Iris Bennett to their Conveyancing and Property team. Iris joins as a licensed conveyancer working as part of Mike Metters’ team. Mike commented, “We are very pleased to welcome Iris to the firm and she comes with a wealth of experience and knowledge of the locality. She will be liaising with both new clients as well as taking over some of our regular work”. Iris joined Miller Parris looking for new challenges following 12 years working at local firm Burnand Brazier Malcolm Wilson. In her spare time, Iris enjoys running marathons and is due to compete in her 4th next April in Brighton. Married with 2 children, Iris also lives in Worthing. CircusSeen C.I.C, who are based in Worthing, aim to provide people of all ages and abilities with opportunities to learn, play and perform circus skills. Through the Worthing and Adur Fund Circus Seen C.I.C applied for funding to purchase outdoor tents to be able to continue to run their sessions in inclement weather. 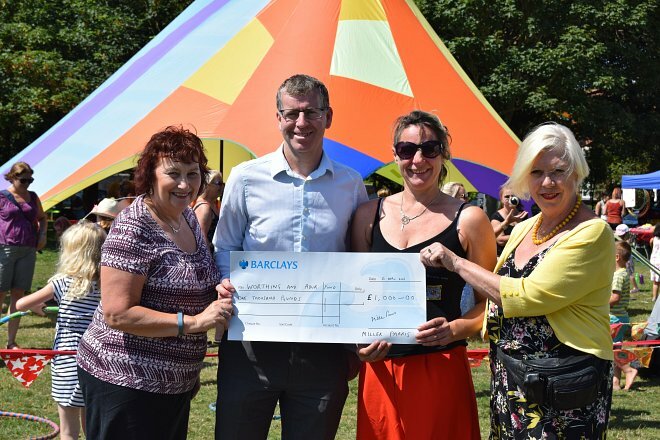 This funding was granted and as we were able to see when we attended their recent Summer Fun Day, the tents are in good use! 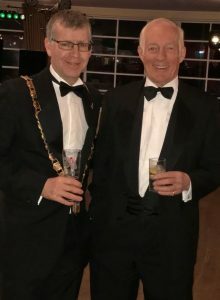 Circus Seen C.I.C are just one of the many local organisations that have received a donation through the Worthing and Adur Fund and Miller Parris are proud to continue to donate to this Fund.